Stitching has been happening here this week; I am just too tired to take a photo tonight of where I got to last night with my stitching. Here are some things that have been also happening around here this week. 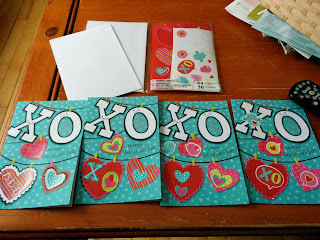 I found this cute little Valentine's card pack when I was card shopping on Monday. 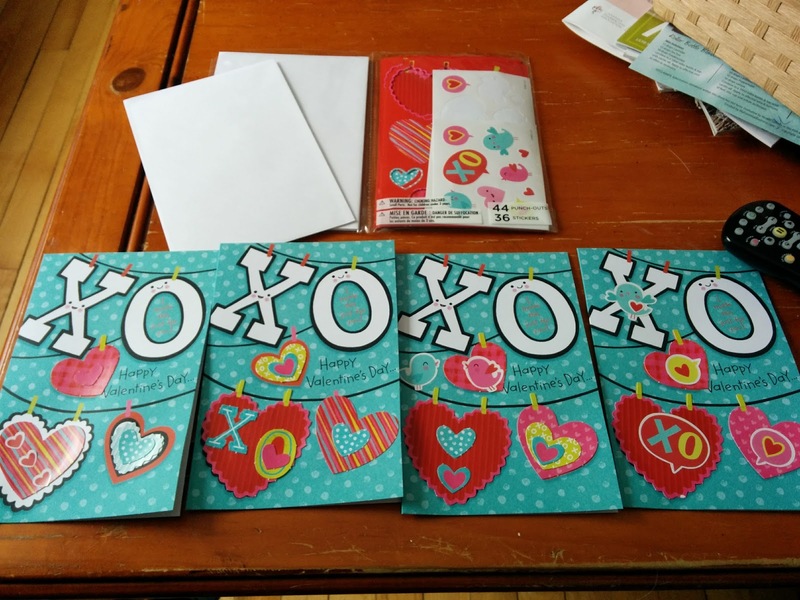 A close family friend is in a nursing home back in New Brunswick so I try to send her a card every month to keep in touch and to brighten up her room. These cards came with stickers and perforated shapes to glue on to the cards to customize the designs. Paper craft has never really been my thing, but I like how these turned out. 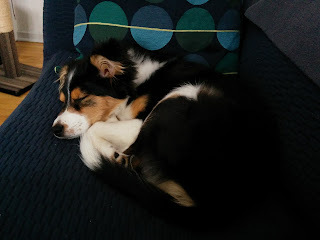 This little cute bundle of innocence belies the little turkey that had dumped out the cat water fountain and played in the water, spreading it far across the floor. 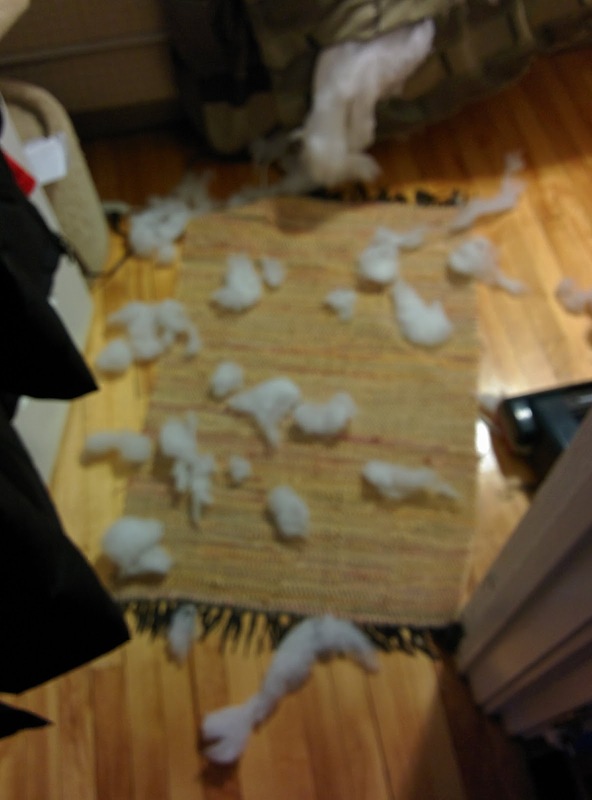 That same little turkey also renovated the comforter on the bed in the spare bedroom. She did this in the 20 minutes between the fella' leaving for work and me getting up. It looks like it snowed indoors. 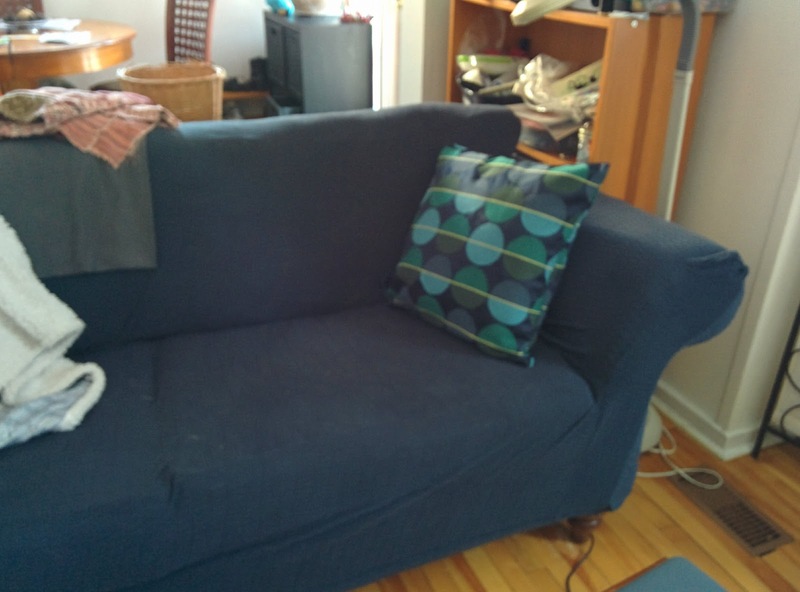 Over the years, the animals have had their way with our couch and chair and I have not been able to find a couch that I find both comfortable and suitable for our house. 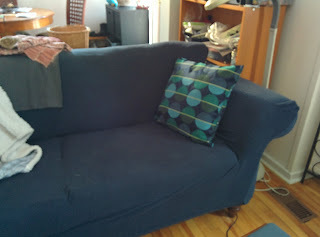 The bones of our furniture are still perfect with no sagging of springs or deformed cushions so I am loathe to get rid of a structurally sound couch just because it looks like crap. Every time I vacuum the furniture, I have to stop and hammer the sides back on and there is a large amount of hair that is weaving itself into the fabric. After hours of looking, I finally found a slipcover that was acceptable to both me and the fella'. The cushion covers were found at IKEA this past weekend. Pictured here is my stitching corner where all the magic happens. You can see my OTT floor lamp and some of the projects and tools stashed on the book shelf beside where I sit. Happy stitching and good night!